The MVDPXMS antenna is designed to be used in commercial, military, private and other communication systems where reliability is needed most. This antenna works with all radios within the Sirius/XM and GPS-GLONASS bands. 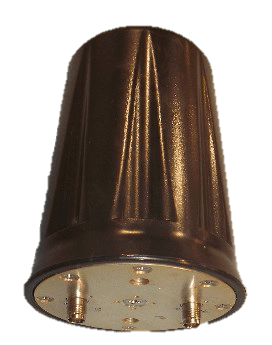 Robust and tough, this antenna is housed in a thick UV stable radome and is constructed from corrosion resistant materials for reliability in the harshest environments. The base of the antenna has two separate TNC inputs, One for the Sirius/XM radio, the other for the GPS.